One of favorite tapes to dose too. AHHHH Fugetabout it. Thanks so much for the dedication J. ONE! I went to a moontribe party long time ago and had more people around my car then the party when i was bumping it. Tape is HARD! 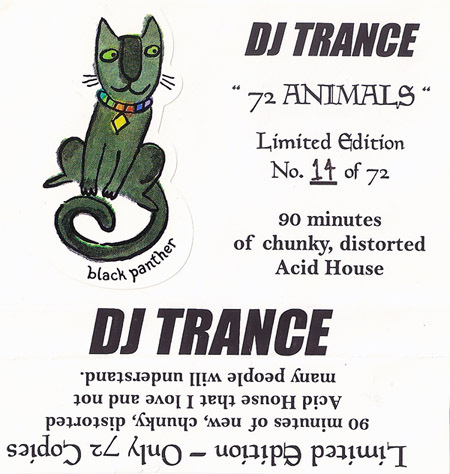 Anyone have a copy of Acid House either 95 or 96 they can post. The set starts off with Pure by Rebirth. Slickety, here is a link to AH 95 on Ezeskankin Mixtapes…http://www.ezeskankin.com/…as far as 96, I have copies but am unable to upload. Now this is where innovation goes to have a drink. Brilliantly mixed Electro-Hickups with a shot of Acidic Melted Marshmellow Mayhem! ‎72 Animals. been listeneing. wow. re:tarted. when who how?? Acid Man Festival this saturday hope I hear some noise like this!